There are other ways to win chess in 4 moves, but none as famous and often-played as Scholar’s mate. No chess strategy arsenal would be complete without this popular version of the 4-Move Checkmate. Players that use 4 Move Checkmate are easy to spot. They often finish the game extremely quickly, then go on bragging or boasting, having hoodwinked their opponent. More ethical players are embarrassed to have used the trick at all, feeling a little sorry for their opponent. Another frequent outcome is that these players end up getting into serious trouble and lose the game because they took their Queen out too early. Is it worth the risk? You decide. This video tutorial (lesson) will walk step-by-step though the moves of 4-Move Checkmate. It will teach you not only how to win chess in 4 moves, but how to protect yourself from an opponent that is trying to use it on you! Learn the moves to counter, and take control of the game. After the video, take our free interactive practice quiz and try 4-Move Checkmate yourself. It’s you against the computer. Please be patient when loading the exercises – it might take a couple seconds. Enjoy! Scholar’s Mate is the checkmate that occurs after the White moves Pawn to E4, Bishop to C4, Queen to H5, and Queen takes on F7 Checkmate…or similar. The moves may be played in a different order with slight variations, but the basic idea is that the Queen and Bishop are combining in an attack on F7. Sometimes Scholar’s Mate is referred to as the Four Move Checkmate. However, there are other ways to checkmate in 4 moves. Let’s watch Scholar’s Mate in action…E4, E5, Bishop to C4, Knight to C6, Knight to F6 would have stopped White’s next Queen move. Queen to H5. Now White threatens checkmate on F7. Black can easily stop White’s threat with Pawn to G6. Knight to F6 attacks the Queen BUT Queen takes on F7 is Checkmate. It is important to note that Scholar’s Mate is not a good strategy since it brings the Queen out too early. With proper defense, Black will have a very comfortable opening. 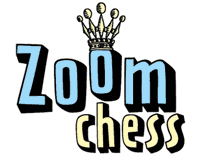 This entry was posted in Chess Newbie, How-To, Parents & Coaches. Bookmark the permalink.